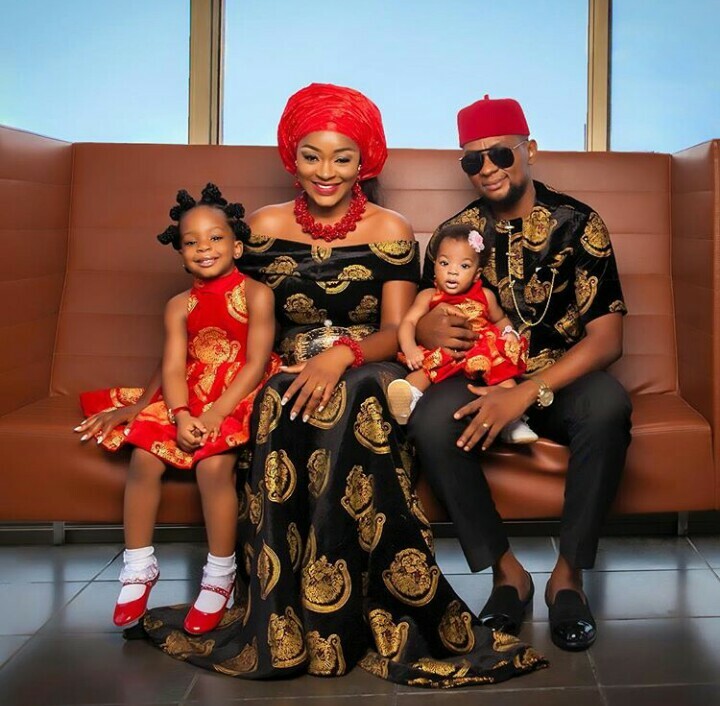 Beautiful Nollywood actress and entrepreneur Chacha Eke Faani celebrates her 4th wedding anniversary with very beautiful photos of her family. 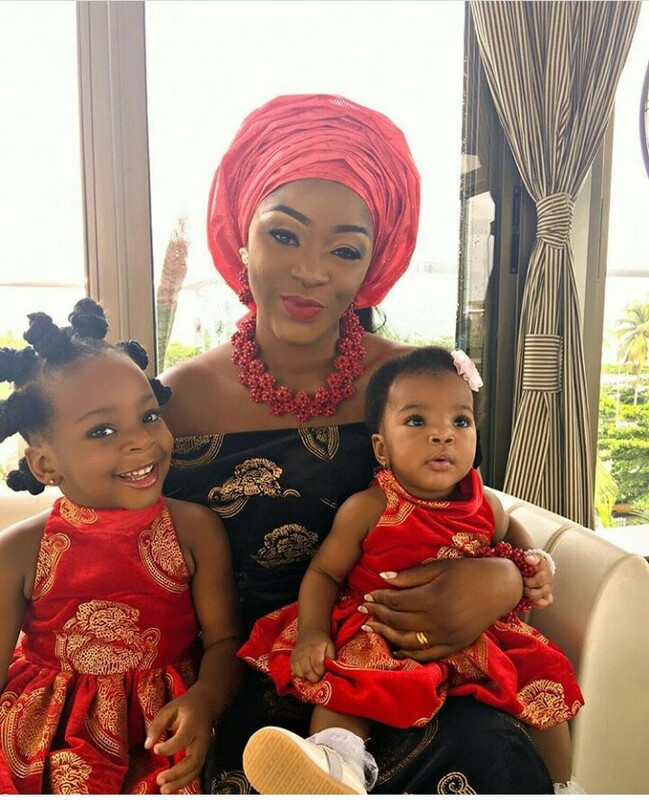 The mum of two didn’t waste anytime gushing about her husband and little girls each post at a time. 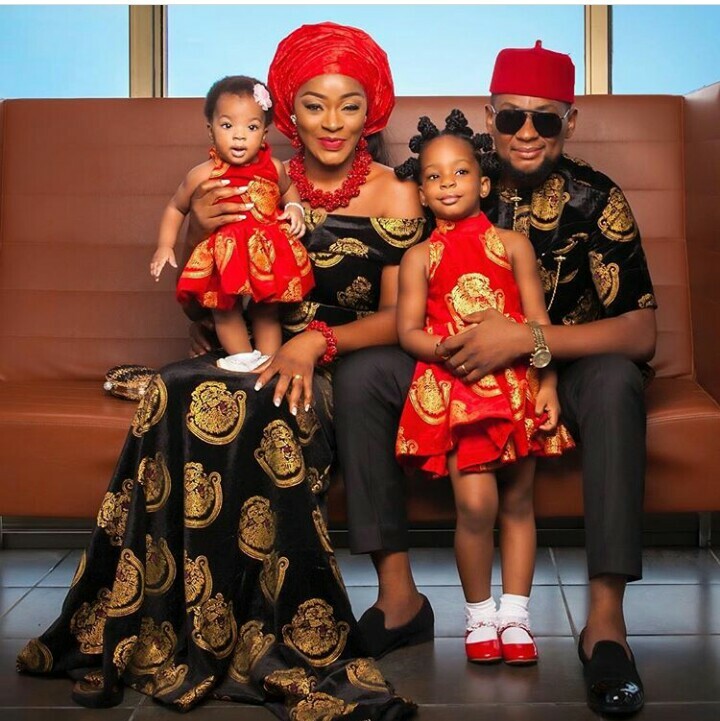 The beautiful family of 4 went with matching traditional attires and for the solos with herself and her husband, she keeps it chic and contemporary.